Las Vegas is a place that is widely known to for its gambling, but there are also many free options out there for those who want to keep their money. If you want to take a good look around Las Vegas, here are five free attractions that you’ll enjoy. The Ethel M chocolate factory. Free admission here allows you to have a private look at the candy-making and tasting that goes on here. You get to have free samples of candy, and you get to learn about the fascinating processes that go into making one of the country’s best brands of candy. The aquarium at the Silverton Hotel. There’s a 117,000 gallon tank full of aquatic life there, including stingrays, sharks and thousands of tropical fish. If you happen to visit from Thursday through Sunday, you may get to see women in mermaid costumes swimming in the tank with the fish. The aquarium is open twenty four hours per day, and all seven days of the week, so you would be able to enjoy the aquarium any time. The lion habitat at MGM Grand. You’ll get to see nature’s biggest and most ferocious cats up close. The fuzzy felines are safe and secure inside MGM’s 9 million dollar habitat. You’ll be able to enjoy the natural show they put on from a safe distance, and you’ll laugh as they chase balls, chase each other, or just lie around and sleep. You may even get to see the trainers feeding the lions by hand, or you might even get to watch as the trainers bath and groom the lions. That is one image you’ll never be able to forget. The neon museum. This was created in Las Vegas to preserve many of the important aspects of local history. You’ll usually get to see neon signs from the past of Las Vegas. You’ll read interesting facts about the history of a particular sign, and you’ll undoubtedly be impressed with what these signs contributed to Las Vegas when they were used. The old signs are saved and placed here so that visitors can experience a taste of Las Vegas’ rich history of neon signs. The Freemont street experience. This is free live entertainment at its best. Local bands play, and you can also dance in the streets for free. The beautiful lights and sound effects highlight all that is good about the culture of Las Vegas. Here, you can get in touch with what it means to celebrate life and enjoy yourself without and costs. 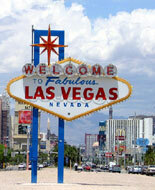 Planning a Las Vegas vacation? Check out https://www.trustedtours.com/store/las-vegas.aspx for discount tour and attraction tickets and more information on Sin City.